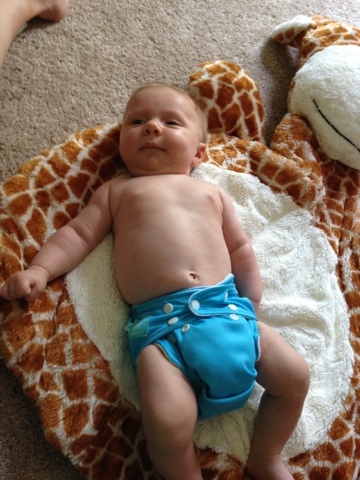 Cloth diapering a newborn is different because they are so small, for the most part the one size diapers just are too big for that tiny stage. Now I know that they claim to fit and I guess in a way they do but, they are just so bulky that I wouldn't feel comfortable with my little guy wearing them. 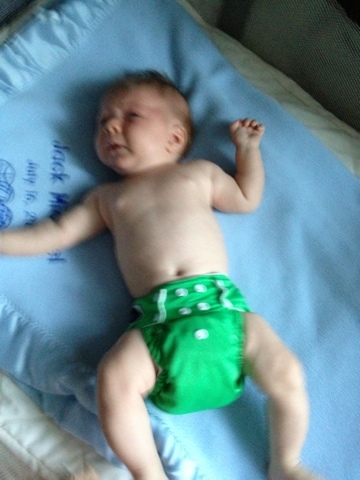 So, I decided to get a set of newborn diapers until I felt like the one size diapers fit him appropriately. Well, I have to admit that I was kind of lazy with using them 100% of the time. I started when he was just over a week old. The rumperooz fit really nice with a osocozy size 1 prefold under it. 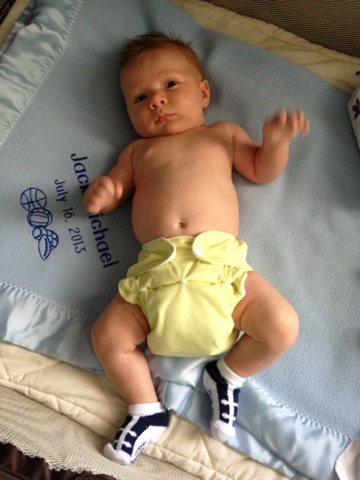 He at 8 weeks can still wear them but they are getting a bit snug. The thirsties duo size 1 cover with either a osocozy prefold or green mountain size small prefold fit really well too. Surprisingly lately my favorites have been the all in ones and the size small fuzzibunz. 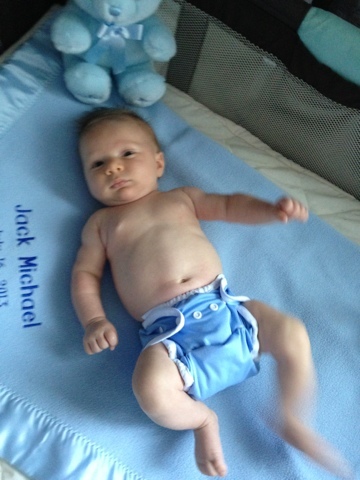 Below are some pictures of Jack modeling a few of the diapers I talked about. I ordered a few more imagine one size all in ones and a couple thirsties size 2 all in one. I think the size 1 thirsties would fit better but the size 2 fits a little big now and will last longer. 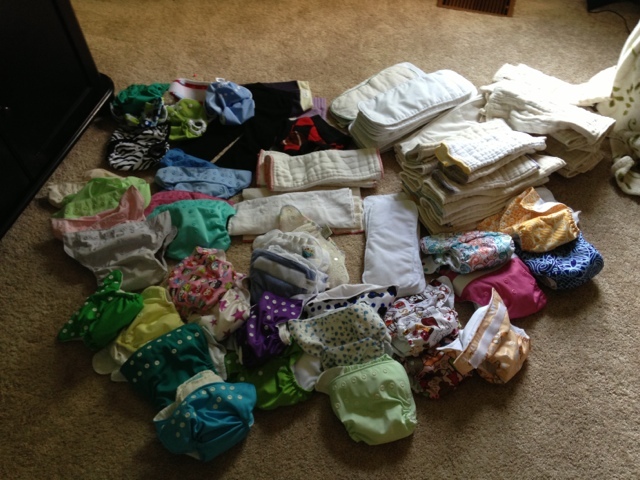 Lastly, here is a picture of the entire cloth diaper stash. Minus the few that I just ordered and the handful that were in the laundry. I believe I have an addiction.